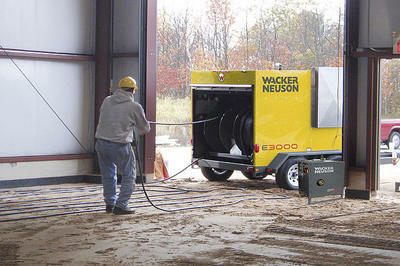 Several options are available including a 5 kW liquid-cooled diesel generator and lifting bail. 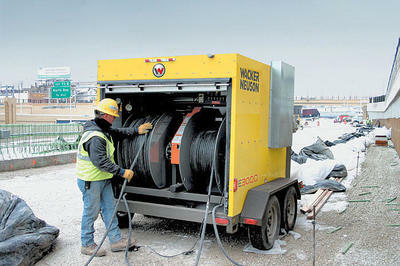 The hydronic surface heater product line is designed to quickly, easily and economically thaw frozen ground, cure concrete, prevent frost and provide temporary air heat during cold weather conditions. 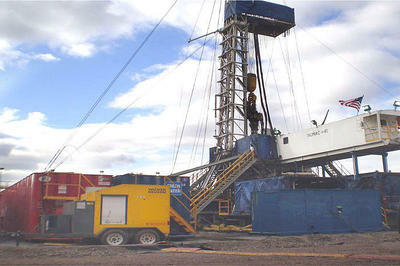 The E1100 thaws up to 2,200 sq. ft. of frozen ground at an average of one-foot-deep per day. 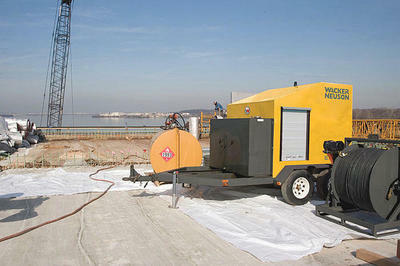 The E1100 will also set, finish and cure 2,200 sq. 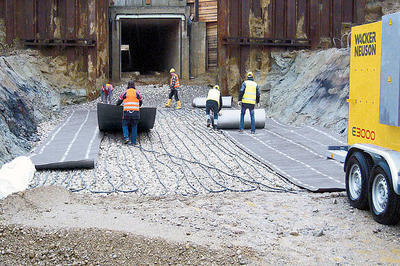 ft. of concrete; up to 6,600 sq. ft. with accessories. At 85% efficiency, the E1100 offers the highest in the industry. 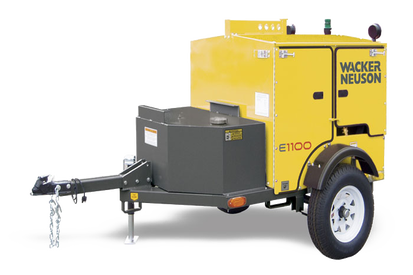 With 1,100 ft. of hose and a hydraulic hose system, the E1100 allows for single person set-up and placement, for greater flexibility on all applications. Performance monitoring strobe light indicates from a distance that all systems are operating properly. Low power requirements: operates from a single 115V, 20 Amp outlet. 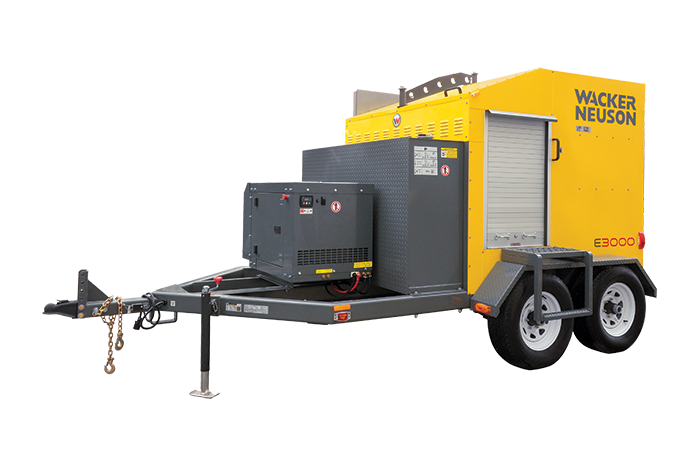 Options include a 3.5 kW air cooled diesel generator with sound attenuated enclosure and on-board load management system to prevent wet stacking.